enjoying comfortable thoughts and emotions. b. Who would be in it? c. What would I be doing? d. Where would I be living? e. What would I feel like? f. What would I look like? celebrate that life. Keep talking for a few minutes and experience the feelings. Now you can see where you want to go and how it would feel. pain, improve digestion and sleep and more. anti-aging hormone that creates energy for the brain to stay alert and focused. Yoga, Tai Chi and walking can be helpful. 5. Journal; write your thoughts and desires as they flow without judgement. vibrational energy of our cells. sub-conscious mind achieve  feelings of value, worth, and being worthy of love. healing. Here is a sampling. of healthy thought and life balance. Share experiences based on the readings. 10. Seek friends who think yourare wonderful and value you just as you are. nature and enjoy the sun. happened? Did you consume sugary foods or lots of gluten and dairy or alcohol? chalk it up to a learning experience. you achieve them, honoring your wishes and desires without judgement. difference over time. It’s about progress, not perfection. 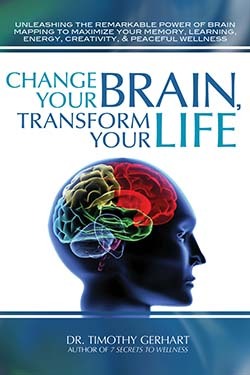 “Change Your Brain, Change Your Life” by Danial G. Amen, M.D. “Women’s Bodies, Women’s Wisdom” by Christiane Northrup, M.D.